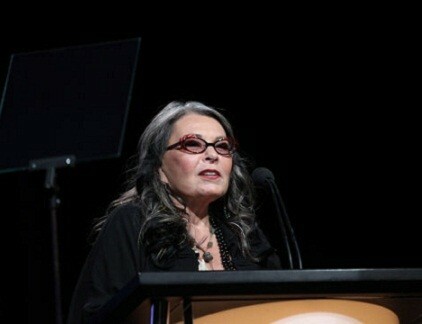 Seriously, whatever happened to Roseanne? She had a great show (that admittedly ended on one of the most depressing notes ever,) she did She-Devil with Meryl Streep, and then she put on her crazy pants and tied her belt up tight. But she’s been pretty pro-gay, so good for her, right? Except it turns out that while Roseanne supports the gays, she went on Twitter today and said some pretty screamingly transphobic things. Basically, Roseanne thinks that transgender women are sexual predators and doesn’t want them in women’s bathrooms. Yes, seriously. The condensed version from Queerty, because trying to cull her diatribe off her actual Twitter account is impossible. Seriously, people: you don’t have to retweet everything people say about you on Twitter. Angry tweets came fast and furious, with many trans folks and their allies expressing dismay that someone like Barr was taking such a stance. For a woman who claims to be an ally, does anyone else feel like Roseanne seems to have a hard time separating LGBT people from sexual predators? Seriously, I’m pretty sure she just said we’d still be supporting pedophiles if it weren’t for her. Stay classy, Roseanne.